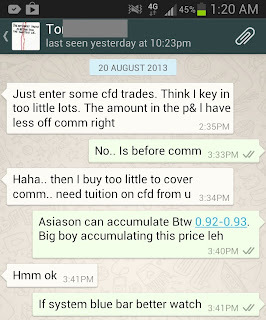 Above is my conversation with my ART Mentee On 20 August 2013, we have been watching the patterns on Asiasons, waiting patiently for big boys to accumulate enough. 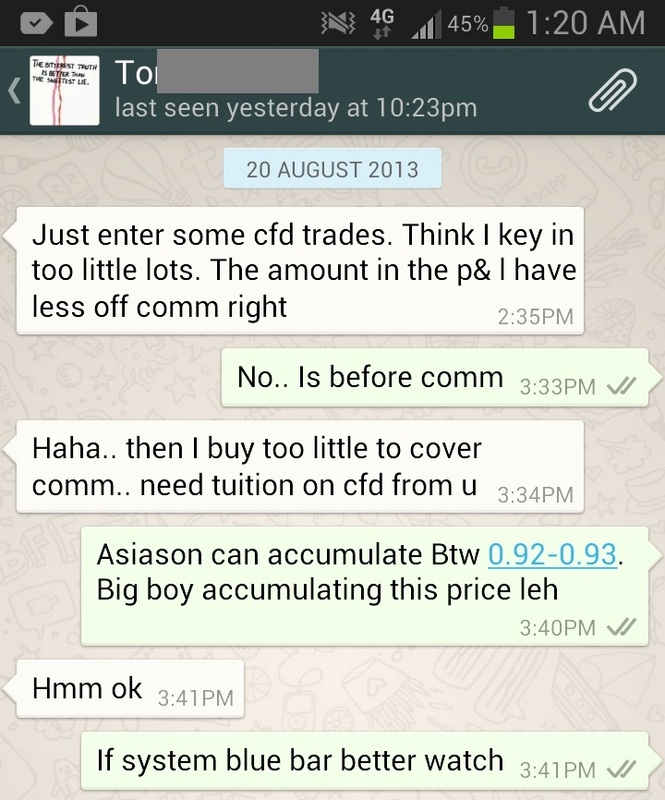 We nail it again with the safe entry using ART position trade system! Cheers! Limited Seats. Pls Register Now! Learn how we trade this September! Do recommend your friends to this workshop!On 12 Sept 2013, Thu (English Seminar) or 13 Sept 2013, Fri (华语讲座Chinese Seminar).